As Android cell phones and tablets have been popular increasingly, the number of applications has also rocketed, especially games apps. We can play games to release the stress of work or study in leisure time. So if you get a Android smart phone, you may want to know what game apps you should download and install cause there are many free games apps and paid apps on the platform but a few of them are tedious and boring. So in this article, we have made some comparisons on the Internet to select some interesting and exciting games for you. Some of them are intelligent and some are entertaining. We hope that after playing these games, you can become relaxed and be more dedicated to your study and work. 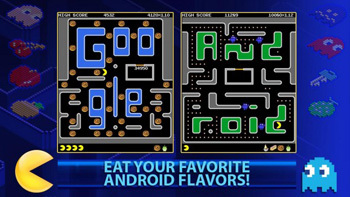 Now let's cut to the point and learn what best Android games apps you can download and install on your Android cell phone or tablets. In order to save your time, we have selected 5 of the highly recommended free games apps for Android that your Android device deserves. With exquisite graphics, Galaxy on Fire 2 HD is one of the most visually impressive 3D shooters to be found on Android. It also chucks in some trading and exploration play to add a little more depth to the combat, making it into something similar to having your own little portable Eve Online. You also get to play as a lead character called Keith which is quite an exciting rarity. This game is quite retrospective and I bet many of you have played the original version. This authentic recreation of an arcade classic Pac-Man is the kind of good, clean pill-munching fun they enjoyed in the 1970s. A tournament mode offers regularly updated mazes, but the retro original is hard to beat. If you are a fan of racing, the game is the one. Extremely controversial thanks to its use of in-app purchases to buy your way to better cars, quicker play time and much more. 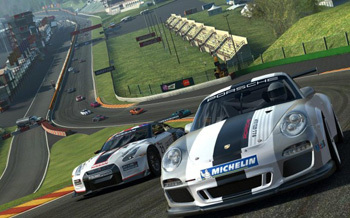 There's one reason you really ought to give Real Racing 3 a go - it's the best looking 3D racer on Android by a mile. If you want something that gives both, all four or even the full eight of your phone's cores a full workout, this is the one. And you don't have to pay for anything, as long as you don't mind staring at timers and waiting a lot. If you play well in Temple run, then you will excel at this game as well. Developer Activision has updated one of its oldest and most fondly remembered classics, turning the ancient platform game into a posh, 3D infinite running thing. 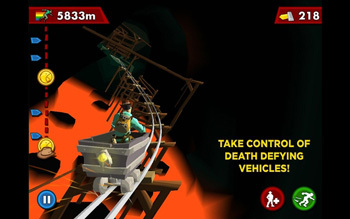 Pitfall uses swipe and tilt controls like the famous Temple Run, including power-ups, vehicles and changing camera angles to add a bit of variety to the look and feel of it all. Angry Birds series are the classic all the time. 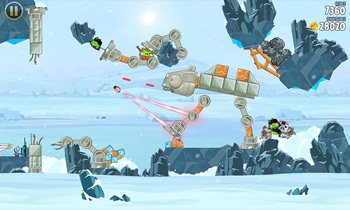 The Angry physics phenomenon took a turn for the weird late in 2012, with Rovio acquiring the rights to blend Star Wars characters with its popular Angry Birds play mechanics. Angry Birds Star Wars is actually pretty nice, with players using Star Wars weaponry to smash down scenery alongside the usual destructive physics action. Not the car crash IP clash we were expecting. If you have downloaded to many games apps on your Android cell phone and don't want to delete them, you can sync them to the computer in case you need to reinstall them on your Android device. Click here to know more about the method to transfer and manage your data on PC or Mac.